We offer Large Format Printing in house, making it easy for you to order your banners, posters and signs. Make a statement and stand out at your next trade show. Or simply add indoor or outdoor signs to brighten up your workplace and draw attention to a new promotion you are running. Enjoy the flexibility of printing on over 50 materials including gloss, satin, vinyl, water-resistant, watercolor, canvas, static cling and more. 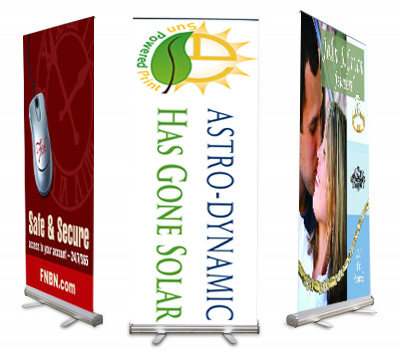 Ordering posters or banners for a trade show coming up? Don't forget your promotional items!